I have a friend who has a soft feather pillow he’s owned since he was a kid. He’s now in his mid-fifties. That pillow has been places. It’s been to Pennsylvania on a plane. It’s been to Detroit on a train. It’s been across country in a pickup. And it’s picked up passengers along the way, little critters that feed on dead skin cells. Yep, that baby is loaded with dust mites. Invisible to the naked eye; but in microscopic images those mites look like something from prehistoric ooze–not something you want to cozy up to at night. What things, habits, beliefs, memories, people, do you hang onto? Is it time to let them go? A co-worker gave up lattes to afford a gym membership. I gave up writing The Great American Novel to vacuum the carpet. Doesn’t seem like a fair trade. What have you given up? Was it worth the sacrifice? I spent New Year’s Eve driving around downtown looking for my tribe. Not a creature was stirring. The only place open was a liquor store. I sauntered in and bought a miniature bottle of Chardonnay from a clerk who was wearing a bright turquoise shirt unbuttoned to the navel, revealing a tattoo on his chest. “Nice shirt,” I said, and drove home with my two-dollar wine and drank a fifth of the bottle and it tasted like cat piss. Are you happy, doing what you’re doing? If not, what changes will you make? This morning I wrote a list of my regrets, the top twelve things I wish I had done in 2014. Then I crossed out the word REGRETS at the top of the page and wrote the word GOALS. These are my intentions for 2015. One per month. I might not succeed at reaching them all, but at least I won’t look back, never having tried. Do you have any regrets? What are your goals? 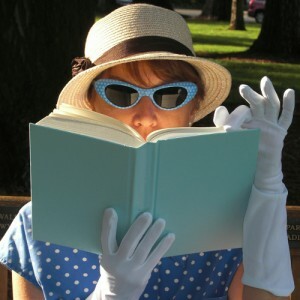 And for you literary types: Are you a pantser in life, or do you plot everything out in advance? Where in the library would we find the Book of You? Romance? Travel? Mystery? Fantasy? Inspiration? Where would you like it to be? 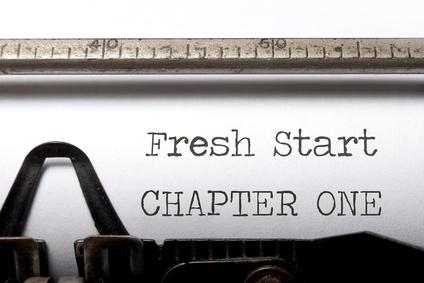 How does your Chapter One begin in 2015? I wish you luck with all your resolutions! Last year I didn’t make a list (and I already forgot what I wished for!) but this year I did. Hopefully it will keep me more focused because this time I decided to be specific. It will be fun to look back a year from now and see what I’ve managed to accomplish. And I’m a pantser, most of the time anyway. I may jot down a few ideas but mostly I like being taken by surprise and fixing things later in the rewrite. Thanks for the good luck wishes, and ditto to you. Happy new year Diane! May all your dreams come true!! No regrets. A perfect New Year’s wish. Thanks! No regrets, only recalculated goals. 🙂 And for my New Year’s Eve solo party I splurged on a $5 bottle of Brut Champagne! The hub delivered overnights to Fed Ex but was home in time to frown at me because I drank all the bubbles. Well, a five buck bottle of Brut is definitely a step up from the two buck bottle of cat piss. What Clock Will You Follow This Year? What Would the Wives Do?